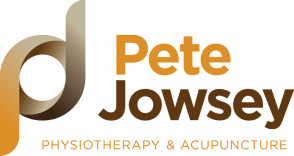 Pete Jowsey Physiotherapy & Acupuncture is a Bristol-based physiotherapy practice offering more than 25 years of clinical expertise in physiotherapy treatment and rehabilitation. Pete delivers clinical excellence in the assessment, treatment & rehabilitation of musculoskeletal pain, from sports injuries to longstanding & complex problems, for everyday people up to Commonwealth Games athletes. Pete provides private physiotherapy at his clinic & personal training space located near Victoria Park BS3 (Monday to Friday) and at CrossFit Avon BS7 (Monday 12.30-6pm & Wednesday 4-10pm). ​Saturday morning appointments available on request every 2nd week.